Global Vipassana Pagoda is now secured with the ’20-20 Imaging Touch Control’ services provided by Zicom now. In the aftermath of serial bomb blasts in and around Mahabodhi Temple complex, a UNESCO World Heritage Site at Bodh Gaya in Bihar in July 2013, the authorities of Global Vipassana Pagoda felt the need to prevent any such untoward incident in their shrine. Zicom was approached to provide an effective security solution. 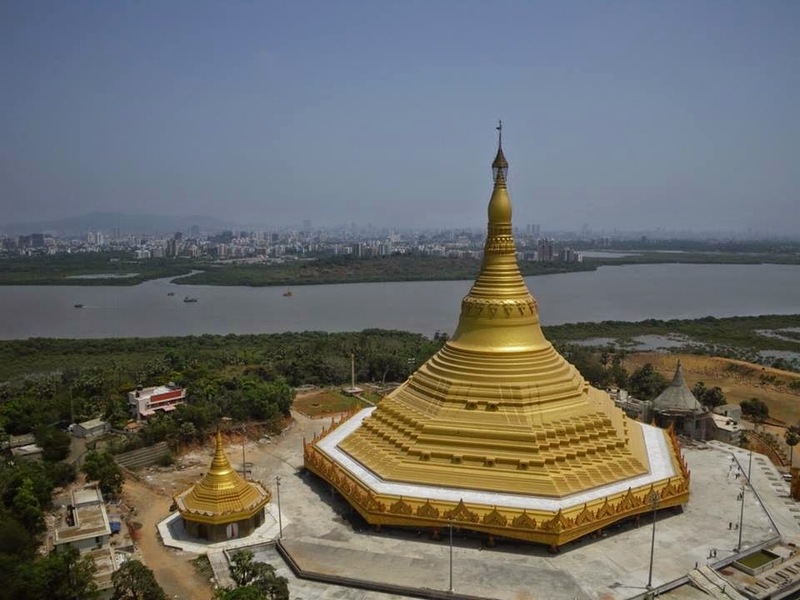 Built Amid the bucolic surroundings, the 16 acre and 325 ft high Global Vipassana Pagoda is a Meditation Hall near Gorai in northwest Mumbai. The Pagoda was inaugurated by the then President of India, Smt. Pratibha Patil on February 8, 2009. The Meditation Hall can comfortably seat 8,000 Vipassana students. “Our team visited the shrine and studied the intricacies and nuances of the site and came out with an unobtrusive security cover,” says Mr. Pramoud Rao, Founder Managing Director, Zicom Electronic Security Systems Ltd. “Since the whole complex is 16 acres, we identified strategic locations which need to be regularly monitored and effectively managed,” he adds. Zicom deployed 65 high-definition IP cameras to constantly monitor every place in and around the Pagoda connected to Zicom Command and Control Centre built locally in the Pagoda for Local monitoring and Management. The operators are alerted only in an abnormal situation. Zicom Command & Control Centre is equipped with Touch Based Data Interaction for Alert Management & Incident Management, based on Open standards such as CAP (Common Alert Protocol) for alarm messaging, PK7 Digital Certification for Security & Service Oriented Architecture ( SOA) developed by its Partner Company 2020 Imaging India. • Abandoned Baggage raises alerts for any baggage left behind in the region of interest of a camera field of View. • Parked Vehicle raises alert for any vehicle stopped in the region of interest. By installing this service, the Global Vipassana Officials can see the information presented on a map pinpointing the place, time and sequence of any improper behavior or anomalous situation. Besides, they can get a whole document with relevant information germane to a particular incident. All interactions with data are simplified & Touch based increasing the ease with which the system can be navigated through. Powerful Region of Interest workflow allows for visualization of all the alert & video data of a particular region in one simple touch. Since the Pagoda was built to serve as a monument of peace and harmony, the objective of a safe and secure atmosphere prevailing in and around the Pagoda has been achieved. The end result is a totally managed through the introduction of 20-20 Imaging ‘s ‘Touch Control’ integrated to Zicom’s IP Cameras. The System is modular and the customer is now adding other alerts for devices such as Fire System, Access Control etc.